While we certainly want children to have and use concrete skills like knowing color words or numerals, we also hope they think creatively and problem solve. One of the ways we can encourage and celebrate creative thought is to let children play with sorting. They will surprise you with their thinking. 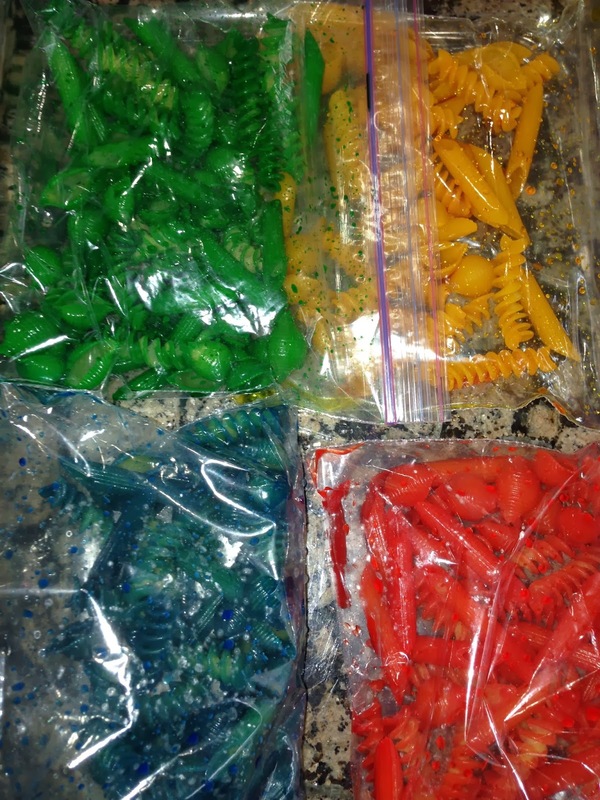 I like to take out the macaroni that we dyed together (see last week's post) and ask children how they would like to sort it. Usually I show how to sort by color and then I ask them to think of different ways. 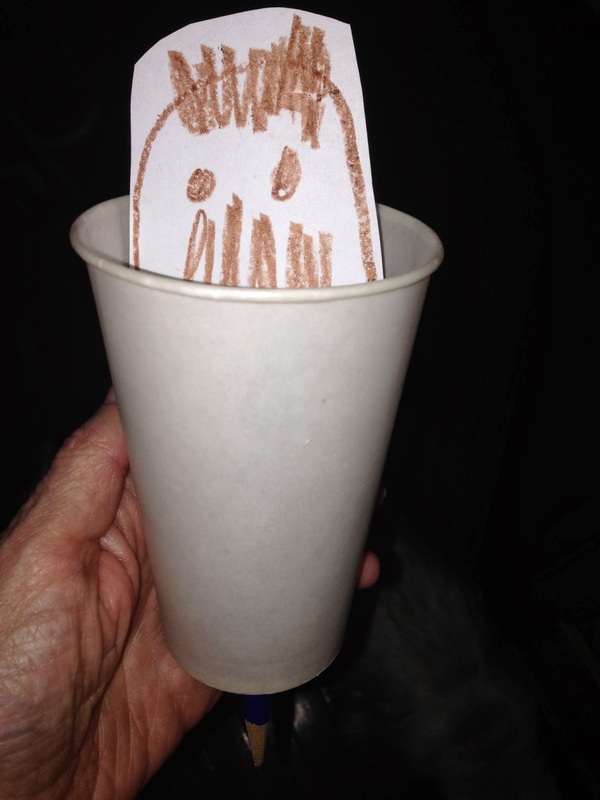 The child took the curly macaroni in hand. I encourage children to describe what they are doing to encourage expressive language and use of important school language like "in a line" or "first," "next," and so on. 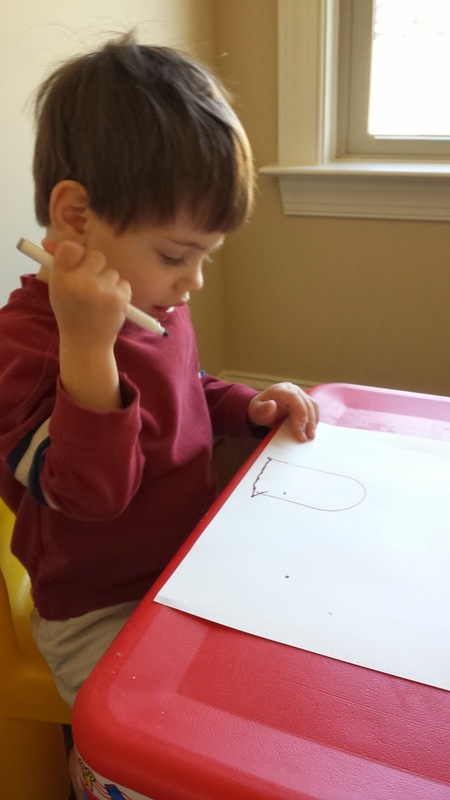 This preschooler used directions words and phrases like "in a line" and "use them all." 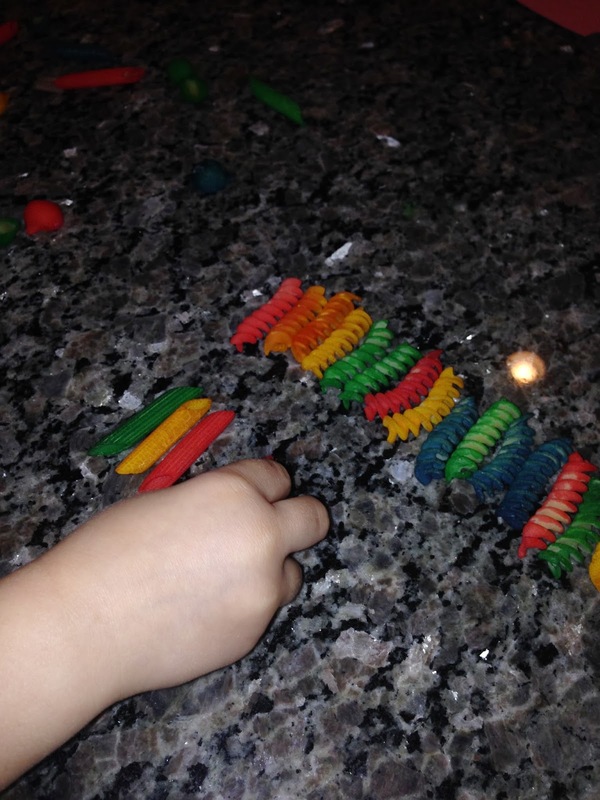 While encouraging school language, we can also celebrate unique ways of sorting. This child thought about shape. 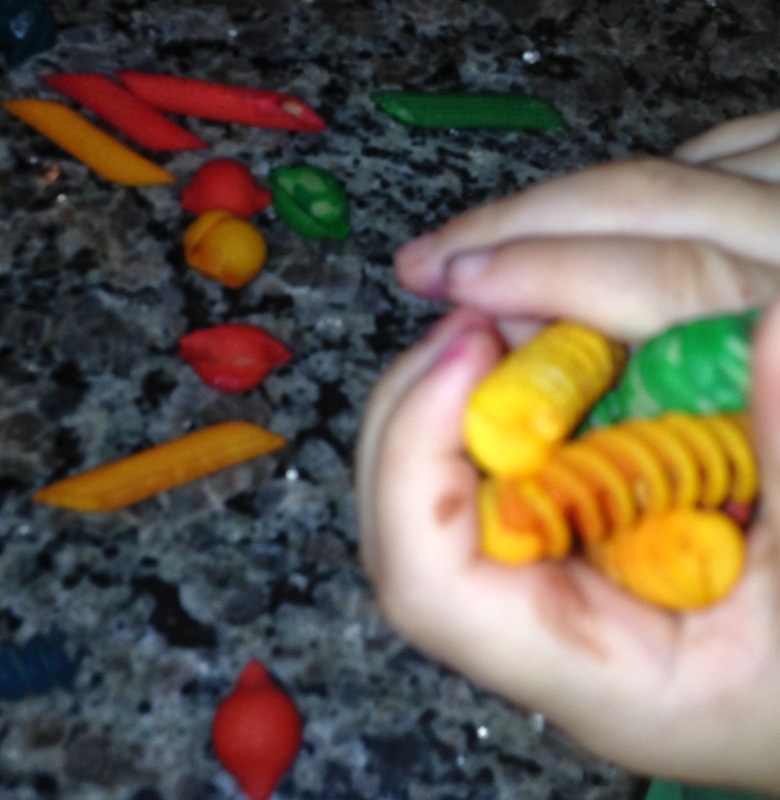 Notice that the child is still sorting using shape. He is also talking about the idea of "below." 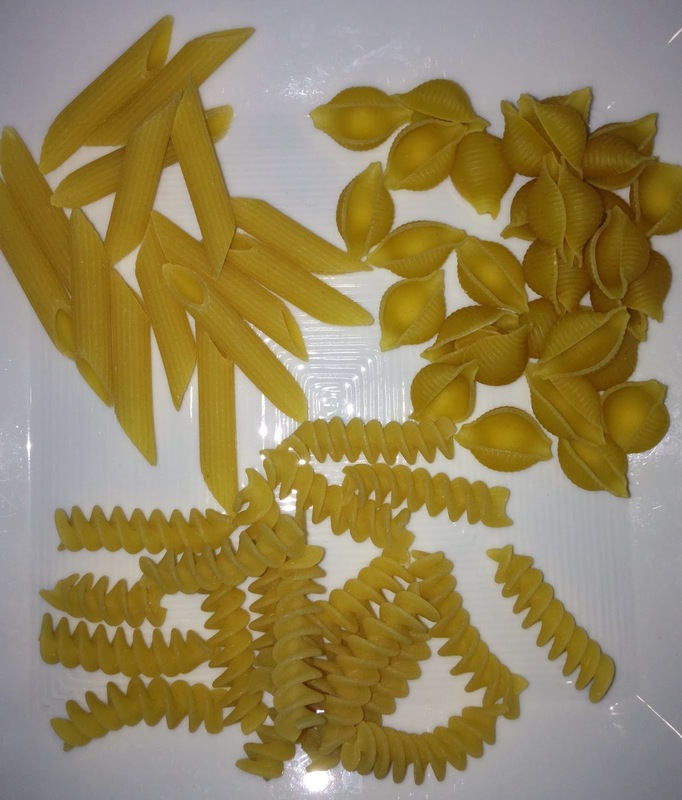 Finally, the shell macaroni shapes are added to the sort. 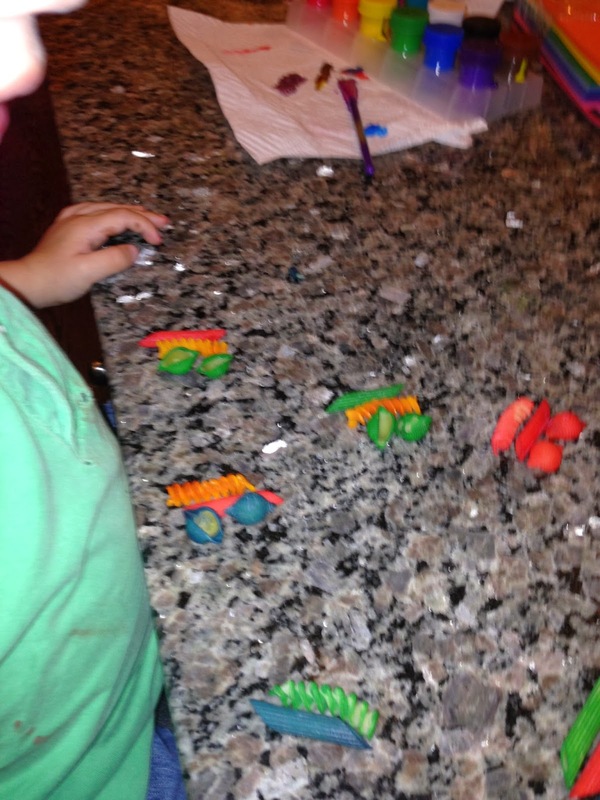 The child wanted to make "groups." Notice the idea of numeracy in these groups. 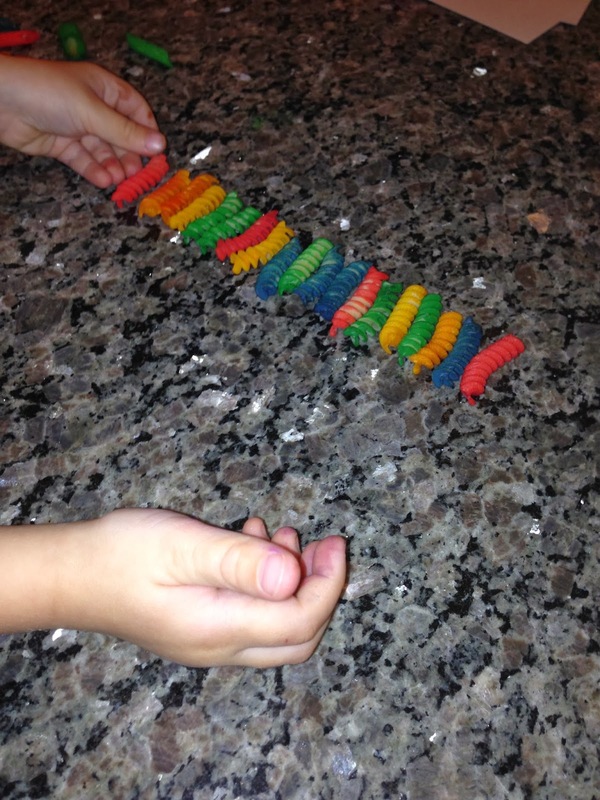 One straight macaroni, one curly macaroni, and two shells are used in each group. 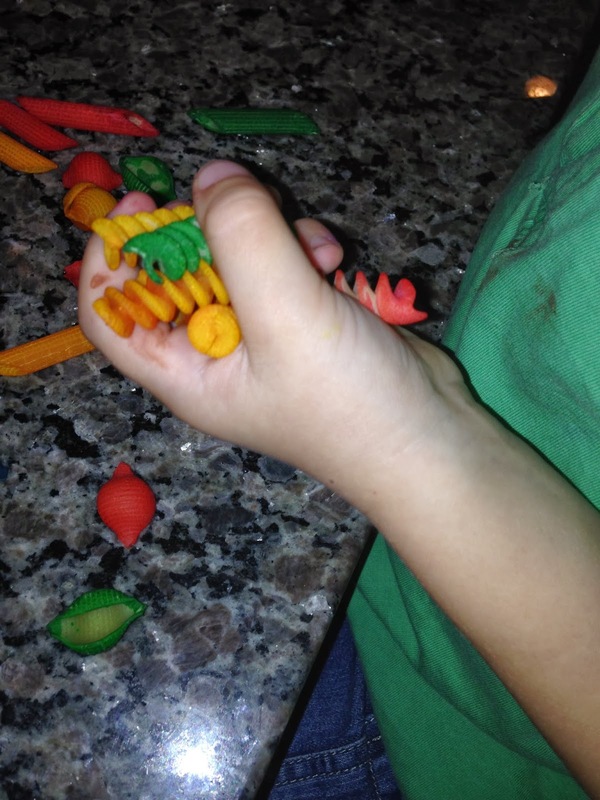 He described his color choices of as he picked matching shells and yellow curly macaroni. This is a wonderful example of personal creative thought. We need to encourage and celebrate this type of unique sorting! 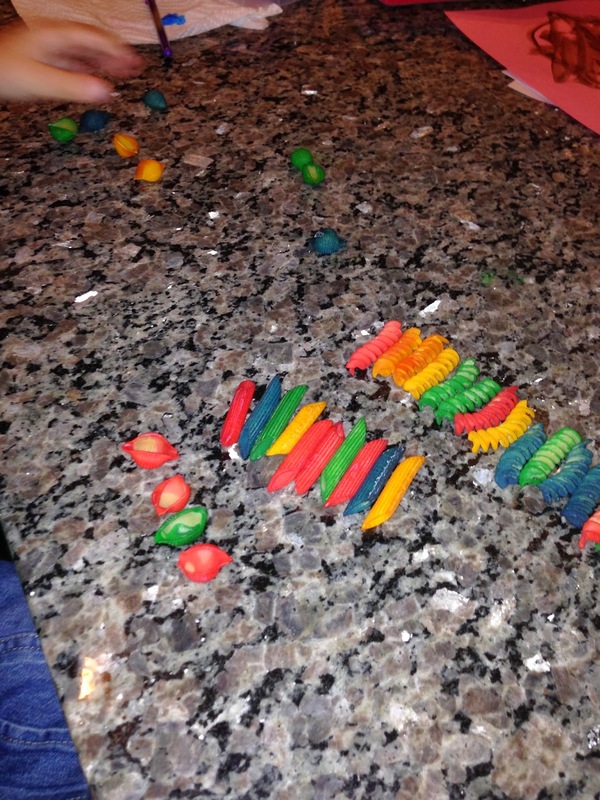 Make a Math, Language, and Critical Thought Manipulative: Color Macaroni! Last week we talked about the importance of knowing and using color words. This is necessary for both expressive (saying) and receptive (hearing) preschool language skills. There are so many meaningful and fun activities you can do with colored macaroni that we thought it important to share our favorite techniques with you. Remember, this isn’t just about you, as the adult, making a cheap manipulative, but it’s about modeling for children that we don’t always need expensive tools. We can make them! 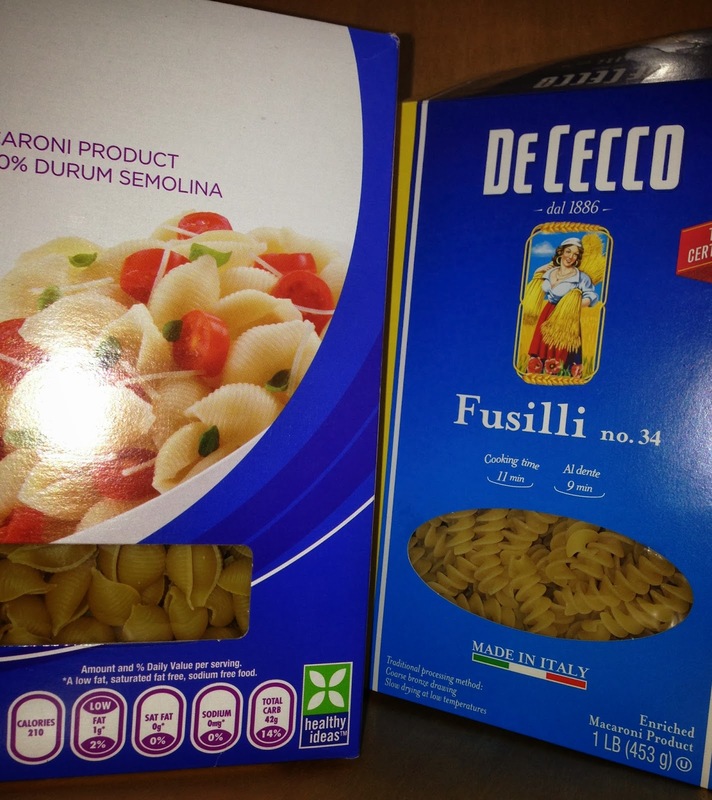 Parents can take children to the grocery store to look at the boxes of pasta. Discuss the different shapes. 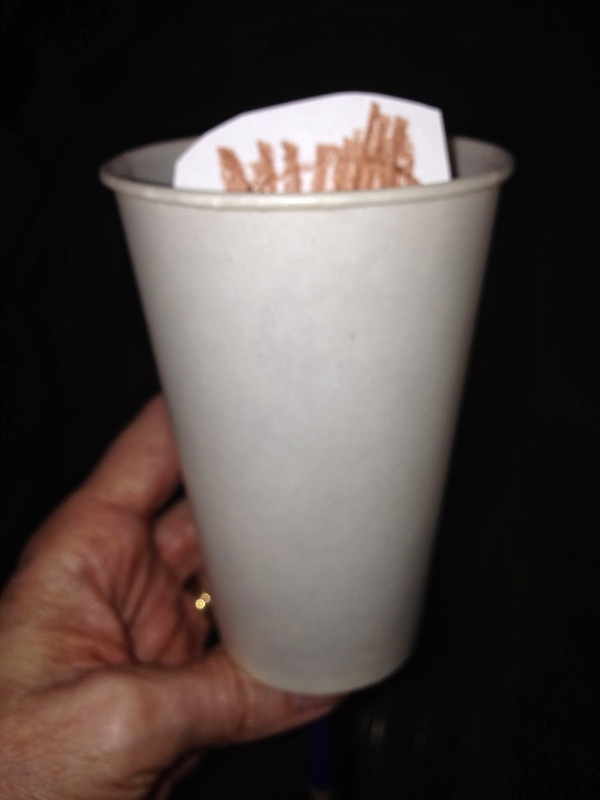 Teachers can cut out advertisements showing various pasta shapes and bring these in to show the class. Discuss the shapes children find interesting and tell them you will try to buy them. You can even make a list together, a great interactive writing lesson that shows children the power of writing! 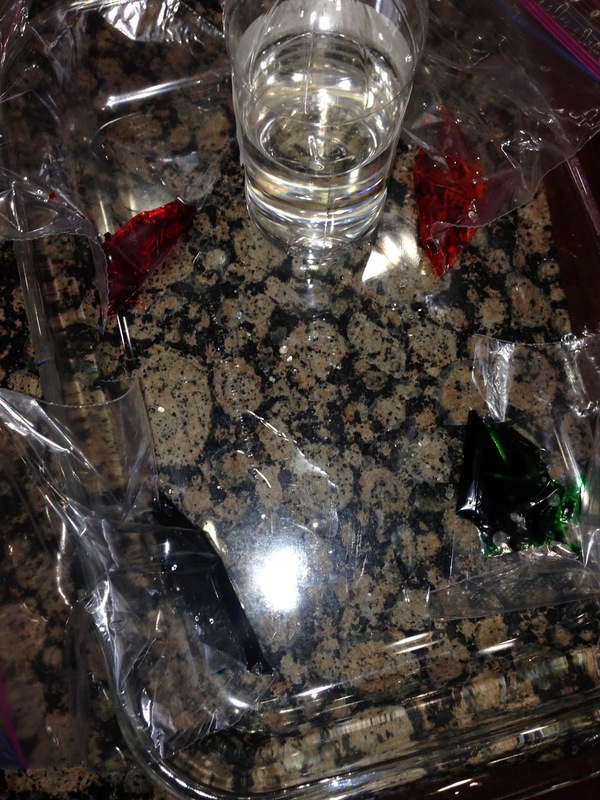 Be sure to add white vinegar, food coloring, and zip-loc bags to your list. Bring all the ingredients and show children just how these simple household supplies can create meaningful learning tools. 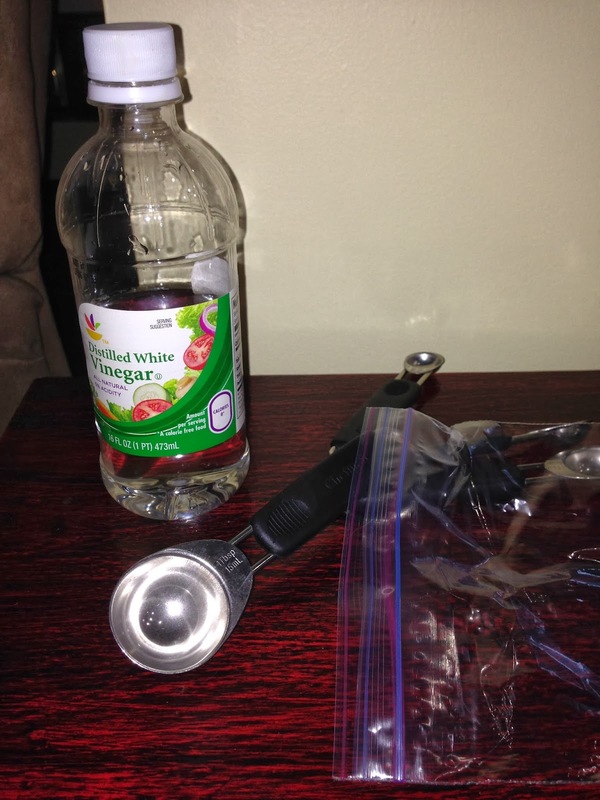 Pour about 3 tablespoons of white vinegar into a baggie. Then have your young helpers decide on a color. We suggest guiding them to the primary colors first. Then using information and activities from last week’s activity, encourage children to mix the primary colors to create green, orange, and purple. Ask children to help you find various macaroni shapes. Shake the bags and allow to dry a bit. 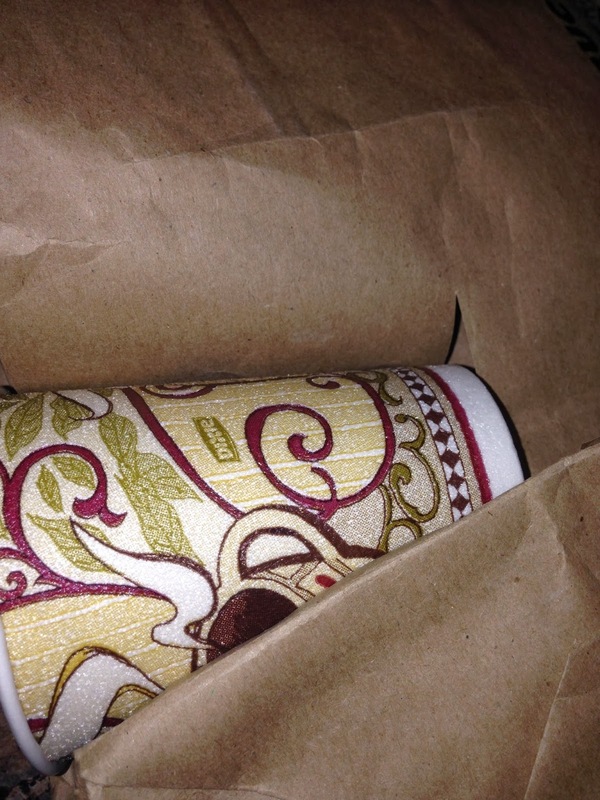 Then place the contents of each bag on wax paper to air dry. 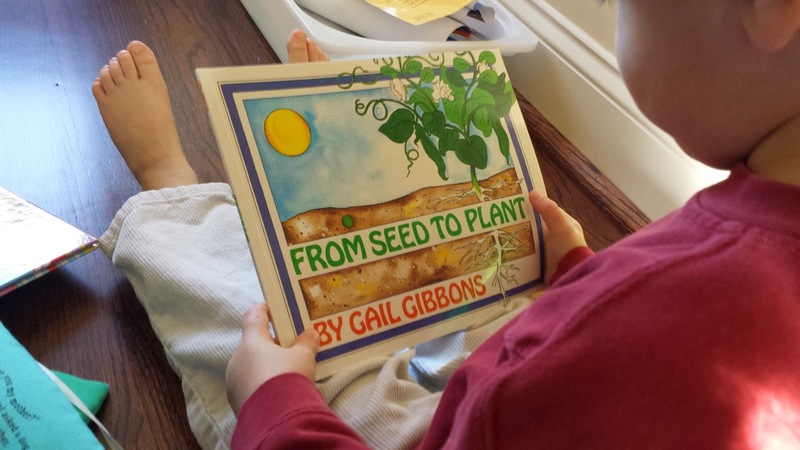 When finished, show children the wonderful and easy learning tools they helped create! Check back next week for macaroni lessons! We know how important it is for our young children to identify colors. It is one of those school language skills that can confuse children if they begin kindergarten not being able to identify blue, red, green, etc. Think about it - teachers say, “Sit at the red table. Stand on the green square.” If children are not able to identify colors, it can set them up for early confusion. They may be mislabeled as poor students or behavior problems when the real issue they didn’t understand color words. This is why academic language (or school language) is necessary for children to learn. You can use color identification as more then memorization; this skill can lead to inquiry and scientific thought, too. So let’s delve into the many opportunities color provides us! 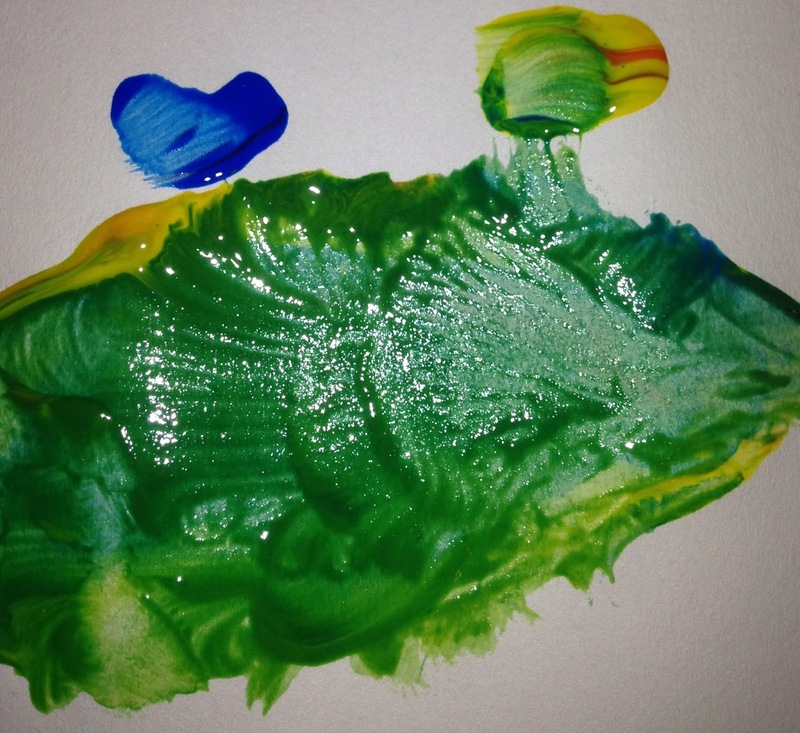 One fun way to encourage color knowledge is to let children explore. 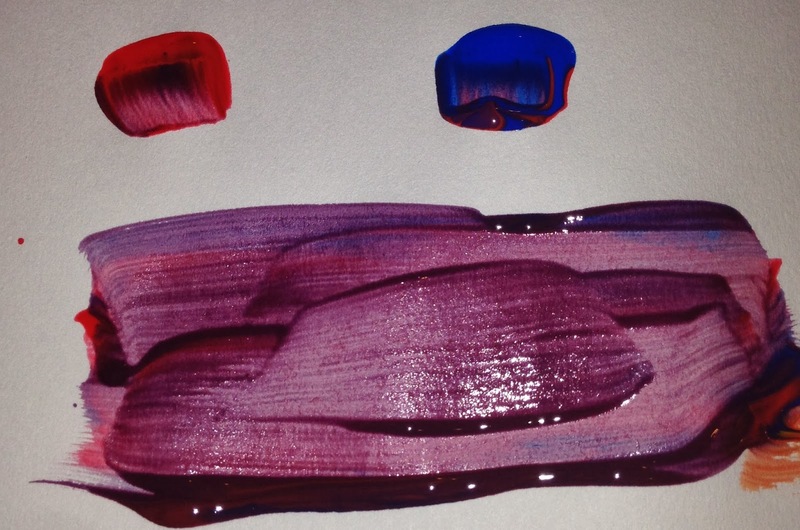 Give them paints and have them plop blobs of the primary colors: red, blue, and yellow on a paper. Develop expressive language by talking about the colors. Have children look for other objects that match these colors. Be sure to use the color words when looking and discussing these objects. 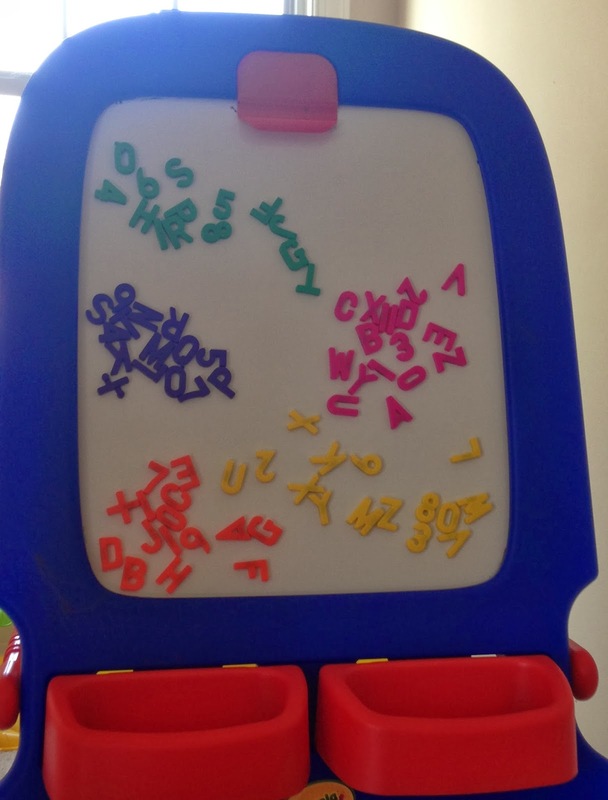 This child looks for red, blue, and yellow letters. You may even encourage children to look through books for pictures of red, blue, or yellow items. This encourages all those Concept of Print components like holding the book right side up, turning pages correctly, or looking at the page on the left before the page on the right. Be sure to discuss this with your child (or small group of children) as you do this. Model and talk about looking at a book by saying, “We can look for red things by holding the book like this.” Show how to hold the book. “We can look for blue things on this page first.” Point to the left page. 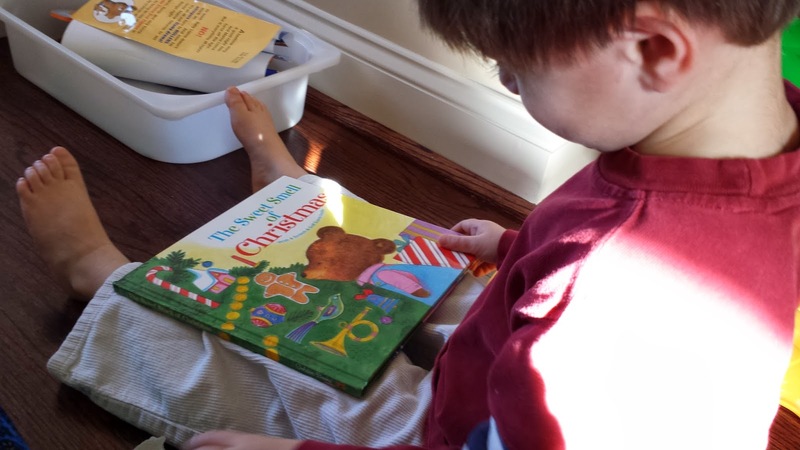 “We can turn one page at a time to look for yellow things.” Demonstrate how to turn pages. It sounds simple, but children often don’t know and we forget to show them! 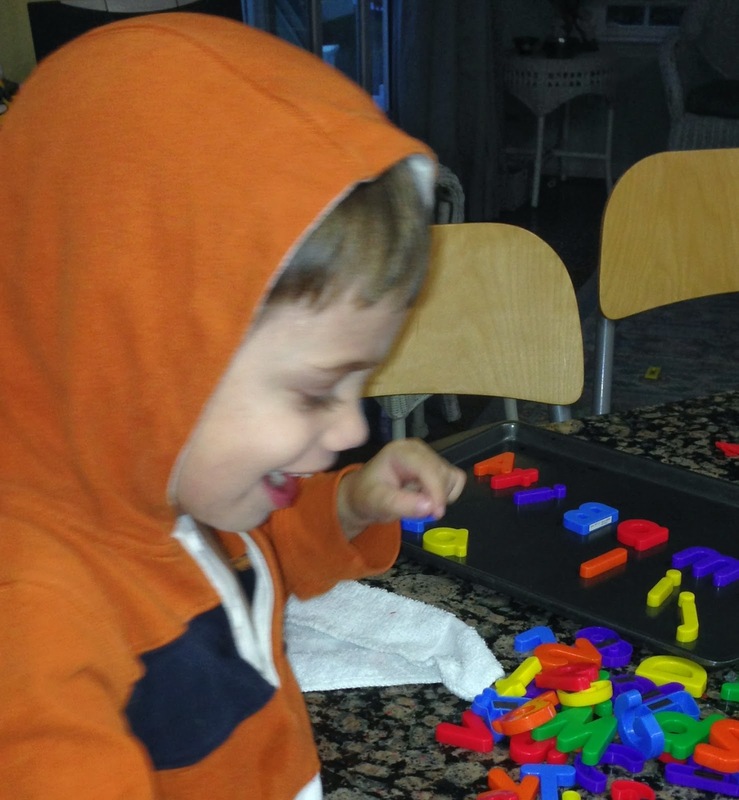 Children can begin to think about sorting colors. This encourages higher order thinking skills. 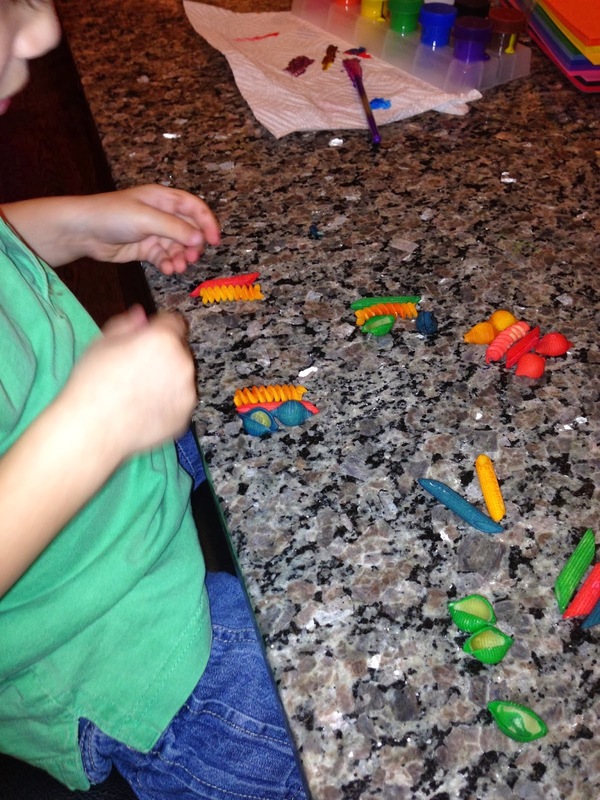 Sort anything: blocks, crayons, pieces of clay, or even letters. We like sorting as it encourages creative thought! There are many ways to sort objects. 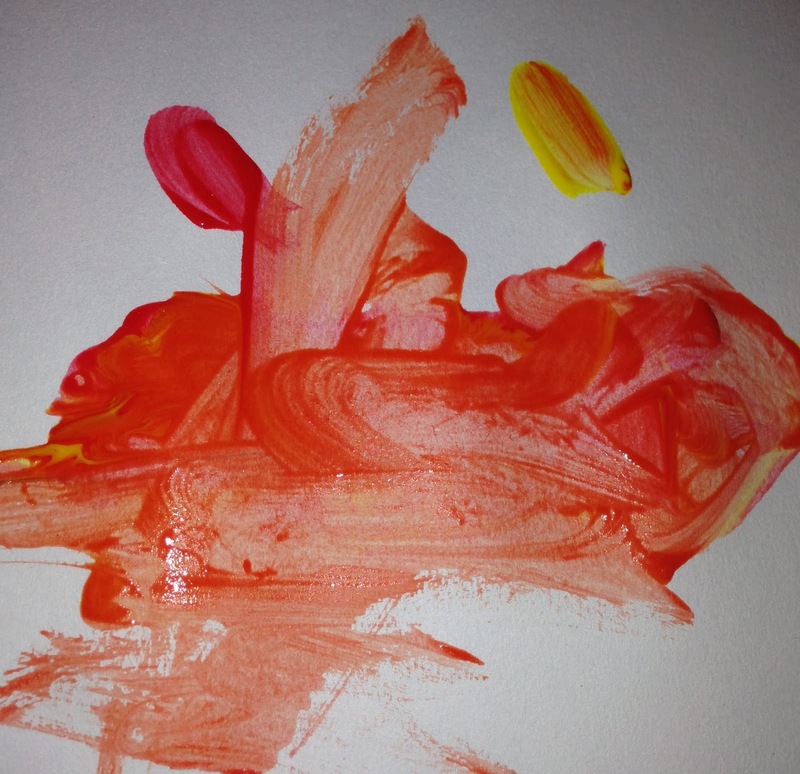 This child sorts by color. Stay tuned for more January fun with colors. We’ll show you how to continue to develop creative thought!